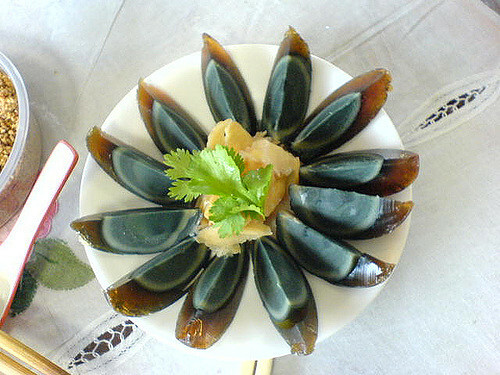 Share the post "5 Strange Foods to Try Before You Die"
A Chinese delicacy also known as pidan, a century egg can be a duck, chicken or quail eggs, preserved for several months using clay, ash, quicklime, salt and rice hulls, not with horse urine – which is a common myth that’s why a lot of people do not eat it. Because of the ingredients used, the egg’s white part turns brown, while the yolk turns dark green to grey. There’s a pungent odor, but it actually tastes creamier compared to a regular egg. Fried Spider – popular in Cambodia, fried spiders are sold on streets! Deep fried in garlic oil until golden brown – it’s crunchy on the outside and gooey on the inside. 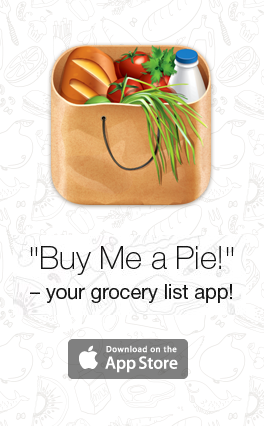 Now, that doesn’t sound appetizing and worthy to add on your “to do list” or “shopping list”, is it? But actually, it’s flavorful and rich in protein. Now that sounds more interesting! Rocky Mountain Oysters, also known as Prairie Oyster in Canada, it is not really an oyster. Made of bull testicle (whoops! ), it is being served fried, stuffed or sautéed with herbs and spices. Here’s a popular strange food that you must have probably heard. 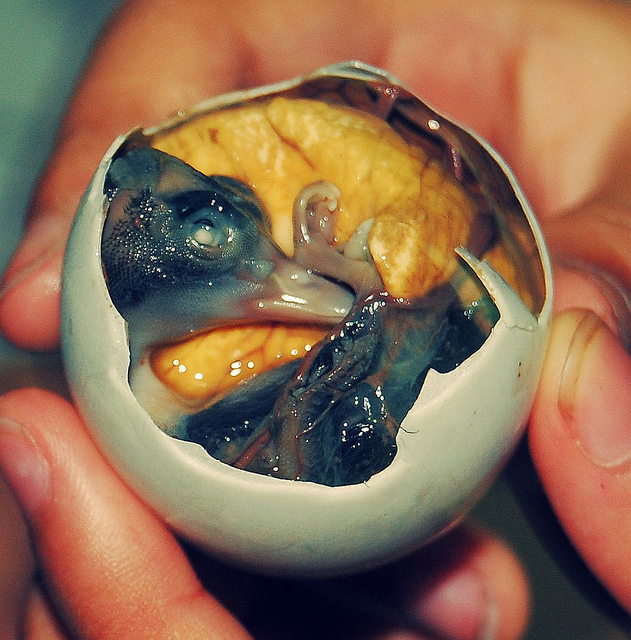 Balut, a boiled egg that has a developing duck embryo inside, is a popular street food in the Philippines. If you have seen the circulating video of a Korean eating live octopus, he’s actually having a Sannakji. It has a mild taste, but the idea of struggling to eat a live octopus trying to get off your chopsticks is definitely worth trying! Although these 5 strange foods sound icky, they are actually flavorful, you won’t be wasting your time, effort and money just to try them. Once in a while, why don’t you experiment on the food you eat, not only by spending several hours planning your shopping list, but also by checking out nearby restaurants, or visiting different countries just to try their renowned delicacies? Make the most out of your life – be adventurous!